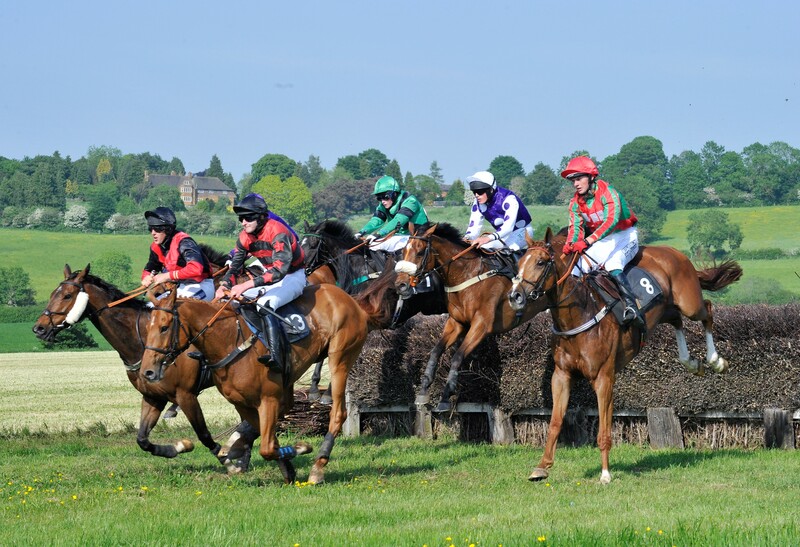 The Woodland Pytchley are hosting a seven-race card including Ladies and Mens Open races and a race for novice riders at Dingley Racecourse this Easter Saturday. Racing starts at 2pm but gates will be open from 11 am; we recommend visitors get here early to get a great picnic and parking spot! Tickets are available on arrival. The winner of the Ladies Open race will qualify for the Timico-sponsored Mixed Open final at Cheltenham in May, while the first two past the post will be eligible for the Skinners Ladies Open final at Stratford-on-Avon. Gina Andrews set a new record for point-to-point wins by a female jockey last weekend and will be riding Blue Mountain Boy in this one. Their competition could come from Proximo if connections decide to declare for this and not the Mens Open which follows. There are ten entries for the Mens Open, including Proximo. Burtredgipandgump and Thetalkinghorse both lost out in a good finish to Black Valentine at Guilsborough a fortnight ago on similar ground but turning left-handed. Tim Gredley’s Just Cause is sure to be a leading contender here, returning to point-to-point racing after a spell of hunter chases. 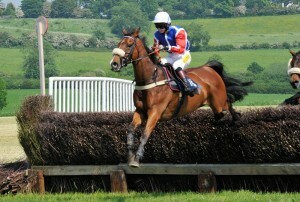 Ardkilly Witness and Dido have both won recently and Pair of Jacks is another to consider. 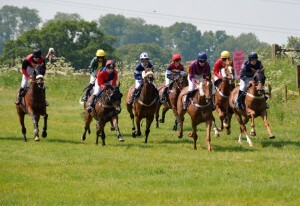 The first race of the day is a members race for Woodland Pytchley and Fernie registered horses. Owner Toby Hunt has three entered for this. Omar Maretti could contest this one if connections choose this race over the Restricted later. 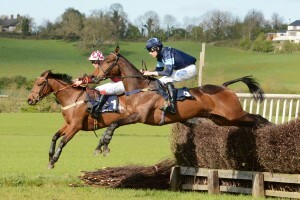 The horse won impressively at Duncombe Park in February. Done a Runner may be getting older but is well known on this course. 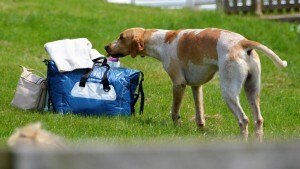 Wayupinthebox could be one to watch for the Bevin stable. The young horse maiden which follows this has a couple of four-year-old horses entered, with the big weight advantage this attracts. The Tom Ellis-trained LateNightFumble, being a filly, will be 25lbs lighter than some in the race, but is unraced. The other four-year-old is Equus Dreamer. Of those who have some form Courtandbould amd Signed And Sealed could be ones to watch. 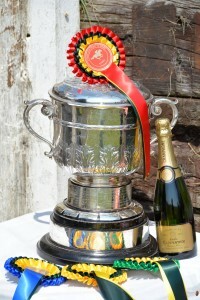 After the Mens Open is a PPORA Club Members race for Novice Riders, part of National Series for riders who had not had more than five winners at the start of this season. Four horses will qualify for the final of the series at Edgcote in May, and those place score points towards the Harley Racing National Novices Championship. Vivaldi Collonges is impossible to avoid here, being the equal highest rated horse on the course at this meeting. According to Dan was impressive winning under Jack Andrews at Guilsborough a fortnight ago – the owner takes the ride back in this one. 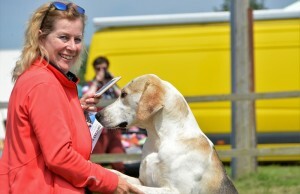 Dido has an entry here too, as do Done A Runner and Toby Lerone, and may choose this over other races. Tom Ellis brings WillFlyWontSink, with Gina Andrews on board. The Restricted race could see the biggest field of the day, with 18 horses entered. All these horses have won just once. Ones to watch include The Triple Pillar, Pelegrine Falcon, Rebel Dawn Rising, Omar Maretti, Spring Cover and High Hopper but these are usually well-contested races with opportunities for all. To round off the day’s racing we have an Open Maiden race for with a possible 15 runners. These are horses who haven’t yet won races, one or two have never been on a racecourse at all. Four-year-old LateNightFumble could choose this race over the second race and if so would have that big weight advantage but there are other horses here that could compete. As with all fixtures at Dingley there will be a warm welcome to all visitors, a wide range of trade stands, bookmakers, a licensed bar and excellent viewing from the car parking area above the course. 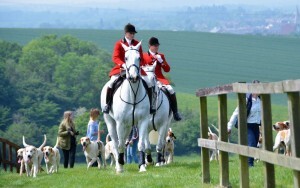 Now that the first point-to-point fixture at Dingley is now just weeks away, we are pleased to confirm sponsors of the 2019 Woodland Pytchley Hunt meeting on Easter Saturday, 20th April. 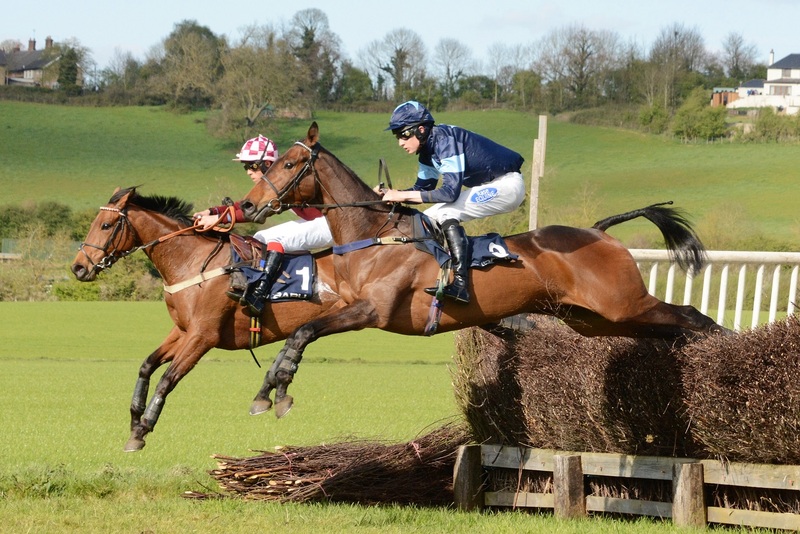 1ST RACE – 2.00pm The Woodland Pytchley and Fernie HUNTS MEMBERS, SUBSCRIBERS & FARMERS Race – sponsored by Rockingham Horse Trials. 2ND RACE – 2.35pm The four, five and six-year-olds Open MAIDEN Race is sponsored by King West. 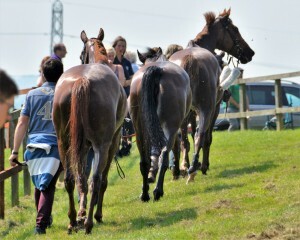 3rd RACE – 3.10pm The LADIES OPEN Race is sponsored by Maidwell Hall school. 4TH RACE – 3.45pm The MENS OPEN Race, sponsored by chartered accountants, Macintyre Hudson. 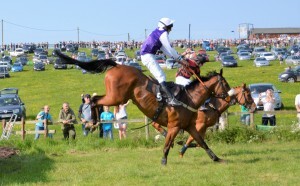 5TH RACE – 4.20pm The PPORA Club Members CONDITIONS Race for Novice Riders sponsored by Baileys Horse Feeds. 6TH RACE – 4.55pm The RESTRICTED Race, supported by The Lane Family. 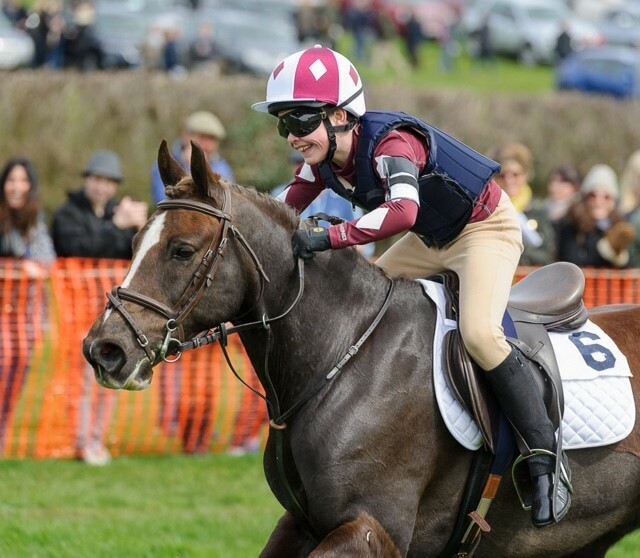 ENTRIES CLOSE Monday 20th May, 12.30pm Hunter Cert registration deadline: Friday 17th May, 12noon ENTRY FEES £40 for a single race, £20 per additional race same horse (see Entry Conditions). 1ST RACE – 2.00pm The Fitzwilliam (Milton) HUNT MEMBERS, SUBSCRIBERS & FARMERS Race, 12st Safety Factor 20 For the MILTON CHALLENGE CUP and a Memento to the winning Owner; a CHALLENGE CUP and Memento to the first Lady past the post PRIZE MONEY 1st £150, 2nd £80, 3rd £50, 4th £20 SPECIAL CONDITIONS For horses which have a current Hunter Certificate and are owned by a Fitzwilliam (Milton) Hunt Member or Subscriber. 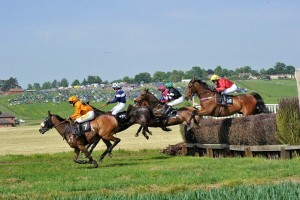 Where horses are syndicated, the lead member of the syndicate must be a Fitzwilliam (Milton) Hunt Member or Subscriber PENALTIES A winner on or since 23rd November 2017 of a Steeplechase or Hurdle race under the Rules of any recognised Racing Authority (Point-to-Points excepted) or of a Mens, Ladies or Mixed Open Point-to-Point race in this period to carry 5lb extra, of two or more such races, 7lb extra. 2ND RACE – 2.35pm The eight-year-olds and over Fitzwilliam (Milton) CONDITIONS Race, 12st Safety Factor 20 For the JOHN CHENEY CHALLENGE CUP and Mementoes to the winning Owner and Rider PRIZE MONEY 1st £150, 2nd £80, 3rd £50, 4th £20 SPECIAL CONDITIONS For horses aged eight years and over, that are owned and ridden by current Members of the PPORA, which on or since 1st December 2017 have not won a race under the rules of any recognised Racing Authority (Point-to-Points included); Owners must be an eligible member of the PPORA by close of entries; Riders must be an eligible member of the PPORA by declaration of the horse. For information on how to satisfy these conditions, please refer to rules. 3RD RACE – 3.10pm The MENS OPEN Race, 12st5lb Safety Factor 20 For the COUNTESS FITZWILLIAM CHALLENGE CUP and Mementoes to the winning Owner and Rider PRIZE MONEY 1st £210, 2nd £110, 3rd £60, 4th £20 ALLOWANCES Riders who, prior to the Thursday before the date of this Point-to-Point Steeple Chase, have not ridden more than 5 winners under the Rules of Racing or the Rules of a recognised Racing Authority, Point-to-Point Steeple Chases or Arabian Horse Races 5lb. 4TH RACE – 3.45pm The LADIES OPEN Race, 11st Safety Factor 20 For the WILLIAM TEBBS MEMORIAL CHALLENGE CUP and Memento to the winning Owner, and the ROYAL DUTCH SALVER PLATE and Memento to the winning Rider PRIZE MONEY 1st £210, 2nd £110, 3rd £60, 4th £20 ALLOWANCES Riders who, prior to the Thursday before the date of this Point-to-Point Steeple Chase, have not ridden more than 5 winners under the Rules of Racing or the Rules of a recognised Racing Authority, Point-to-Point Steeple Chases or Arabian Horse Races 5lb PENALTIES A winner on or since 10th June 2018 of a Steeplechase or Hurdle race under the Rules of any recognised Racing Authority (Point-to-Points excepted) to carry 7lb extra; a winner since 1st July 2018 of three or more Mens, Ladies or Mixed Open Point-to-Point races to carry 7lb extra, or of two such races to carry 4lb extra. 5TH RACE – 4.20pm The RESTRICTED Race 12st Safety Factor 16 For the BATTEN BOWL CHALLENGE TROPHY and Mementoes to the winning Owner and Rider PRIZE MONEY 1st £150, 2nd £80, 3rd £50, 4th £20 6TH RACE – 4.55pm The Open MAIDEN Race, 12st Safety Factor 16 For a CHALLENGE TROPHY and Mementoes to the winning Owner and Rider, presented by Messrs Cadge & Coleman Ltd PRIZE MONEY 1st £150, 2nd £80, 3rd £50, 4th £20. 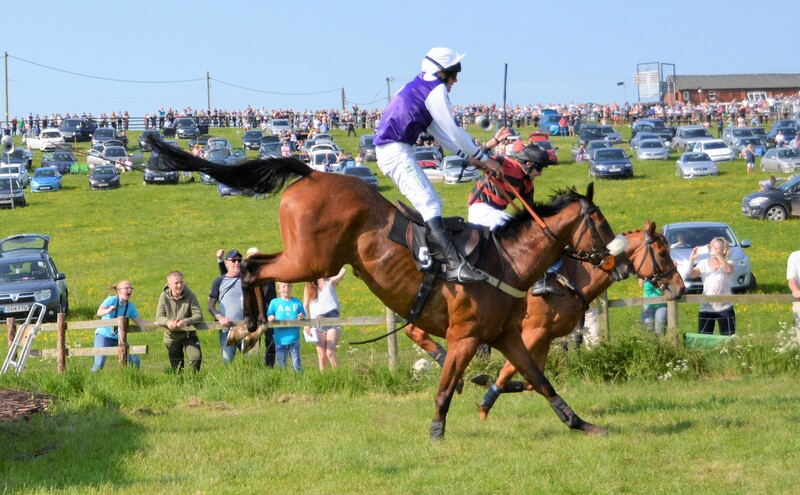 7TH RACE – 5.30pm The Open MAIDEN Race, 2m about 4f, 12st Safety Factor 16 For a CHALLENGE TROPHY and Mementoes to the winning Owner and Rider PRIZE MONEY 1st £150, 2nd £80, 3rd £50, 4th £20. SPECIAL CONDITIONS To be run over approximately two-and-a-half miles. 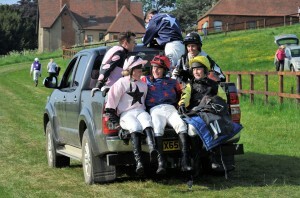 A prize will be given to the Groom of the best-turned-out horse in each race to the value of £25. Following this morning’s course walk at 10am the going is good all round – we will continue to water the course to maintain this.